It’s been a game of Chase-me-Charlie all over London. Start at the Royal Festival Hall. Into a maternity hospital. On to a Chelsea church. Trying to catch Charlie Drake is like attempting to lasso a whirlwind. But now he’s cornered. Togged up in morning suit, tails and topper, sitting in the private suite of an Indian restaurant in Chelsea, having his nose powdered! Poppadum! It’s the Indian equivalent of a giant-sized potato-crisp. Very highly thought of in old Bombay. Just the sort of phonetic yo-yo that Charlie loves to get his tongue around … er, verbally. This time. I’m not going to be led. So first, the show. Charlie giggles. It’s a master giggle; deep, throaty, full of hidden menace. A Drake trademark. He’s a visual comic. He looks. He blinks. And the giggle is the greatest. A sort of custard pie prelude. Okay, so I’m 13 inches higher than his 5ft. 1in. So we look like the long and short of any situation. It hasn’t anything to do with Who is Sylvia? But there’s no stopping Charlie now. “And river trees, too,” he goes on. “Them on the river bank. They keep hitting my launch.” It’s a sleek, blue, 38-footer, which Charlie christened “Goodness Gracious” because that’s exactly what he said when he saw the price! Well, I’m not. Hardly getting a word in edgeways. It’s fun just listening to Charlie. He really has a real-life propensity for getting involved in comic situations. Like when he’s fishing. Only Charlie could so regularly clump his right earhole with a lure when casting for pike. But then, it’s typical that when he once did hook out a 4lb. trout from the Thames near his home at Weybridge he “felt sorry for the little fishie and threw him back.” Very rare, too, are Thames trout. Charlie tells his anecdotes with a twinkle in his blue eyes … eyes deeply embedded in laughter crinkles. He jokes about his hobbies. But I happen to know he is a first-class angler, a crack shot. A golf handicap of six explains this is no rabbit. He paints — “stripped to the waist, mate, and daubing like mad” — but collected a fat four-figure fee for a sale of 38 of his works. He does nothing by halves. If it’s slapstick, he‘s got to go one step beyond. 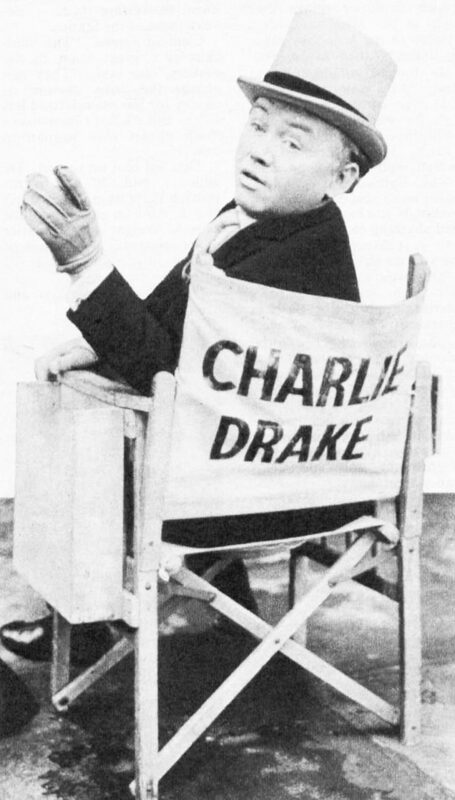 But Charlie Drake, despite his small stature, is physically hard as nails. Does no particular exercise to keep fit. Off duty smokes a lot, drinks champagne unashamedly. But works like a Trojan. Writing until three in the morning. Up at 6.45 a.m. Takes the rigours of location filming — pretty chilly this time of year — without a thought. Filming … that reminds me. The show. Will it mean the end of Charlie in a boiler suit? Charlie, who has worked for seven months on the scripts for Who is Sylvia? carries the new “uniform” off with classic clown panache. He seems in rip-roaring form. Okay, okay, I wasn’t going to be side-tracked. So open up the garden gate and let me out. And go to the top of the comedians’ league, Charlie! 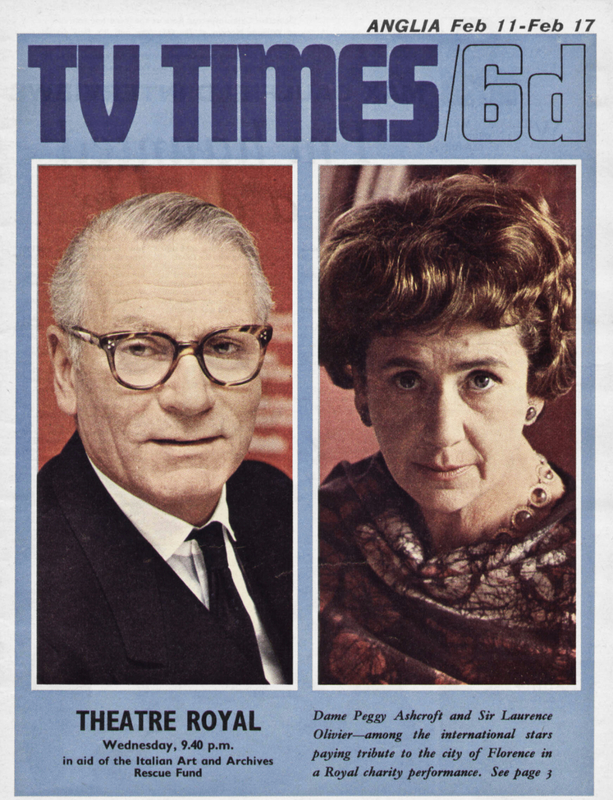 Tags: Charlie Drake Dave Lanning Lanning at Large TVTimes Who is Sylvia?